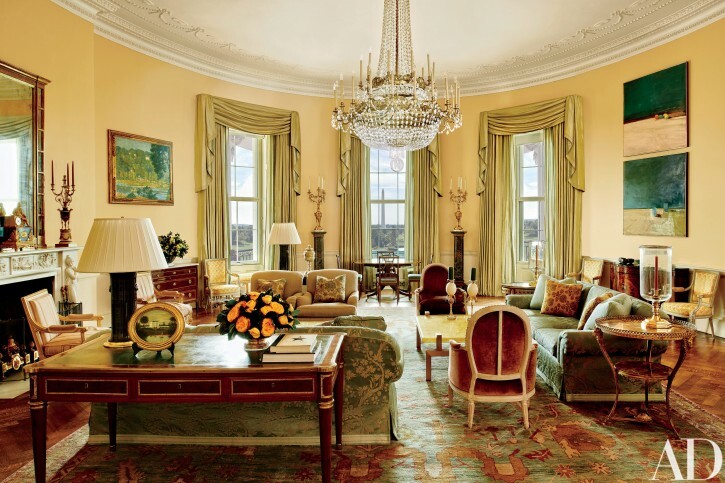 Washington - President Barack Obama likes to say the White House is the “people’s house.” Now, the people are getting a look at the rooms where he lives. Exclusive photos published Tuesday by Architectural Digest are giving the public its first glimpse of private areas on the second floor of the White House that Obama, his wife, Michelle, daughters Malia and Sasha and family dogs Bo and Sunny have called home for nearly eight years. Los Angeles-based interior designer Michael Smith decorated the rooms, as well as the Oval Office. A mutual friend in Chicago introduced him to the Obamas after the 2008 election. The first lady said Smith managed to reflect her family’s tastes while respecting the history of the White House. “Above all, it has truly felt like a home for our family,” she told the magazine. 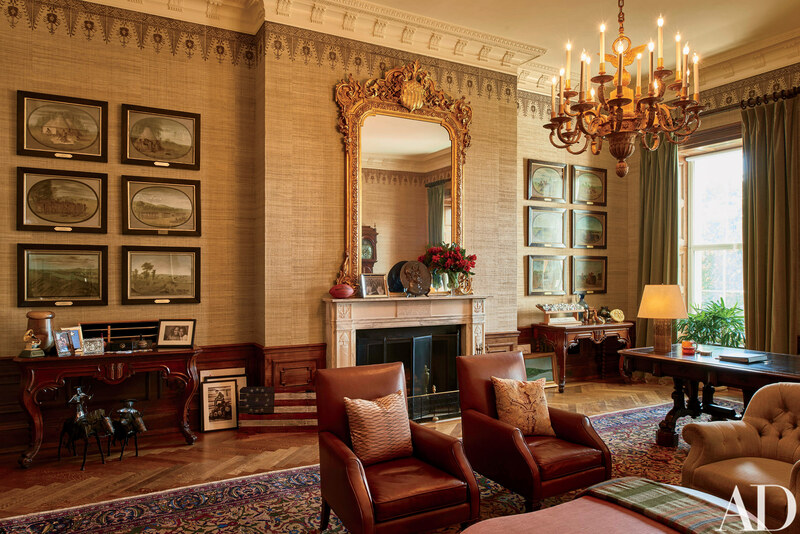 Other photos show the Yellow Oval Room; the Treaty Room, where Obama retreats late at night to read briefing material for the next day; a sitting room and a dining room. The rooms are adorned with a variety of modern and contemporary art borrowed from major art institutions, such as the National Gallery of Art and Smithsonian museums. Architectural Digest has also published photos of the private living quarters of Presidents John F. Kennedy, Ronald Reagan and George W. Bush. 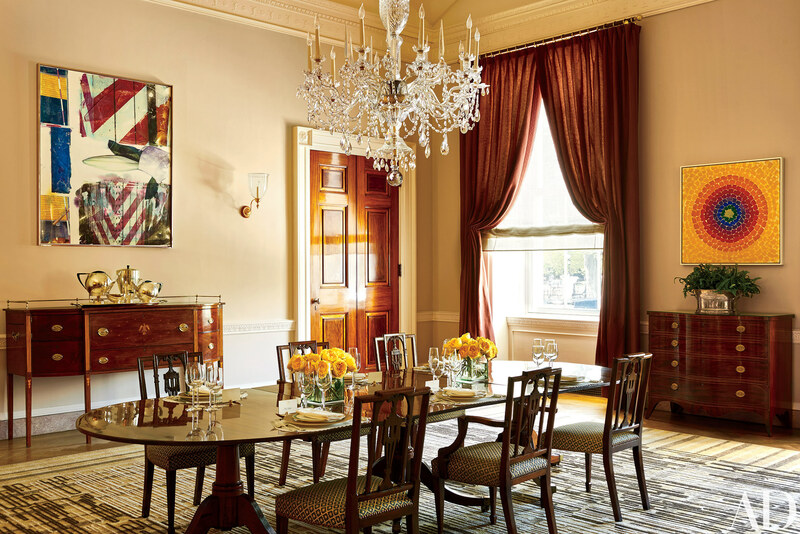 Amy Astley, the editor in chief, said the Obamas’ personal style, and the history and diversity of the nation, are reflected in their art and decor choices. The Architectural Digest issue with photos of the Obama living quarters is scheduled to appear on newsstands on Nov. 8, Election Day. Decorated in beige hues, the master bedroom has an antique canopy bed decked out with fine Italian linen. Identical, footed tables at either side of the bed, one bearing family photos and one stacked with books. Matching, upholstered chairs and a sofa form a sitting area. “You really want to make sure that the president of the United States gets a good night’s sleep,” he told the magazine. That’s something Obama apparently gets. “I have a phone right by my bedside and every morning somebody calls and says, ‘Mr. President, it’s your 7 a.m. wake-up call,’” Obama said during an appearance last week on ABC’s “Jimmy Kimmel Live!”. Does he have a flag from USA that he sees every single day? #1 You got a flag in living and dining rooms?